Bergamo is a medieval hilltop town that has been highly influenced by Venice style in an artistical and architectural way. 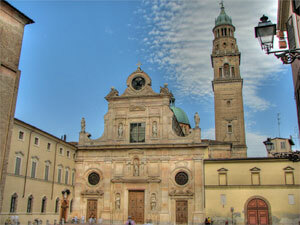 Bergamo is divided into upper and lower town - Bergamo Alta - the hilltop medieval city - and Bergamo Bassa - the lower city. The city hosts the Orio al Serio airport which regularly welcomes many tourists who want to visit Milan and the surrounding area. 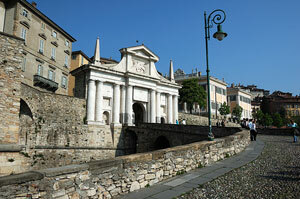 is Lombardy's second largest city after Milan. Major sights after the main square, Piazza Vittoriale are: The Tempio Capitolino, which is a museum and theatre, the Pinacoteca Civica Tosio Martinengo, containing works by Raphael and Lotto and the market at the Piazza della Loggia. 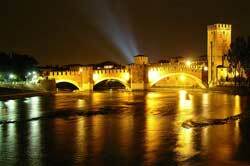 It is a small town situated very close to Milan. It is world-wide famous for the Italian Grand Prix of Formula 1 which takes place at the Autodromo Nazionale Monza and the Ferrari Team. It has also a beautiful centre and it is famous for the textile and glass manufactory. It was the capital of the Italian Kingdom a long time ago. Churches, towers and other monuments stand as a testimony of the city's greatness. The Certosa, built in Renaissance style, is worth visiting. But there are also other interesting sights to mention: beautiful churches such as the San Pietro in Cel D’Oro, the San Michele Maggiore or the San Teodoro's . The University of Pavia is rich in architecture and decoration of statues. 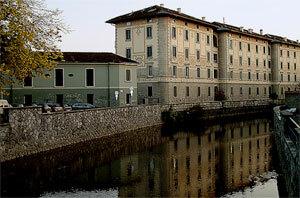 At the Visconteo Castle you will always find exhibitions, and also the civic museum is hosted there. 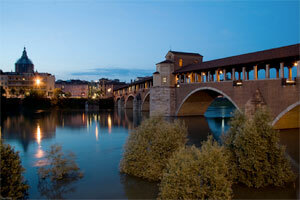 The Coperto bridge is another monument that you should take the time to visit. Mantua is a lovely town placed in Lombardy region and boasts of a rich architectural and artistic heritage left by the Gonzaga family, which made it one of the main Italian and European Renaissance centres. Thanks to the wide range of ancient, noteworthy architectural treasures and elegant palaces, UNESCO put Mantua on the list of the World Heritage Sites. The town is also famous for being the place where Shakespeare’s Romeo was exiled and the birthplace of the Roman poet Virgil. No visit to Mantua would be complete without visiting Doge’s Palace, a complex of building dating back to the period between 14th and 17th century built by the Gonzaga family. In the past, the building was the residence of the Gonzaga family, lords, marquises and dukes of the city: just think that it hosts 500 rooms and covers a surface of almost 34,000 sq m! Other places of interest in Mantua also are St. Peter and Paul Cathedral, Sant’Andrea Basilica,The Herbes Square, Mantegna’s house, St. Sebastian’s Church, Merchant’s house, St. George’s Castle, The Bridal Chamber, Broletto Square and Te Palace. Guided visit to Mantua Doge's Palace, built between the beginning of the 14th Century and the half of the 17th, decline period of the Gonzaga potence. Doge's Palace is a complex of buldings with about 500 rooms and covers a surface of almost 34.000 square meters. This is a city with about 2 millenniums of history. Verona has a variety of possibilities for amusement. But the most important feature of Verona is the connection with Shakespeare’s Romeo & Juliet: the story took place in this famous Italian city, so that today you can visit the house with the balcony of Juliet, a statue of her in the court and her grave. You will see how the Roman era was extremely important for this city: the Arena, the Roman Theatre, the Arch of Gavi, Porta Borsari or the area of Porta Leoni and the Scavi Scaligeri are perfect examples of the Roman architecture. The ancient town wall are ideal for a stroll with a spectacular view all around the city. The town offers gorgeous monuments and museums. The Ghirlandina tower is the symbol of the city. In Piazza Grande you will find the Palazzo Comunale while the Palazzo Ducale hosts the Military Academy. Parma is not just the city of ham and cold cuts, it has many attractions to offer to its visitors such as the cathedral and the bell tower. Palazzo della Pilotta is another gorgeous building, today seat of the National Museum of Antiquity. This city, seat of the Olympic Games in 2006, offers lots of attractions. The Mole Antonelliana is the symbol of the town. It was built like a synagogue and it hosts the National Cinema Museum, today. 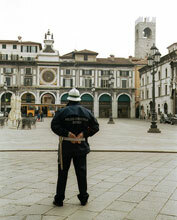 Piazza Castello is the heart of the city with many great buildings dating back to the Roman age. In the middle of this square you will find Palazzo Madama, close to the Royal Theatre and the Royal Library, which houses Leonardo da Vinci’s operas. From Piazza Castello many important streets are easily reachable such as Rome Street, Po Street, Garibaldi Street and Pietro Micca Street. Another remarkable attraction is the Medieval Castle, castle and village. The castle is an exact replica of the Castle of Fenis (Aosta Valley) and the village is similar to a Piedmont medieval little township. 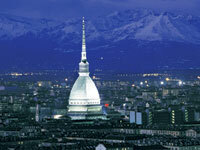 Click here for more and detailed information about the city of Turin. Photo by "Biagio Leone, Bassa Valle Susa"
It is the Italian city with the Europe's biggest aquarium and the second in the world after the Osaka's one. You will find fifty tanks there, for marine species, including sea turtles, dolphins, seals, eels, penguins, and sharks. For further information you can visit the website of the Aquarium: www.acquario.ge.it The Aquarium is situated inside the Porto Antico (the old harbour). The Palazzo Ducale was the former registered office of the government, today it hosts social and cultural activities. In the beautiful historic city centre you will find more sights of interest. You can't leave Italy until you experience the famous UNESCO World Heritage Listed, Cinque Terre - five stunning towns perched on seaside cliffs overlooking the sparkling Mediterranean Sea. 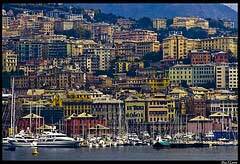 Take a boat trip to Monterosso, and then a train to La Spezia. It is quite far from Milan (the transfer is approximately two hours driving), but it is absolutely worth going. The Archiginnasio Palace houses and the Municipal Library are just two of the most interesting sights to visit. 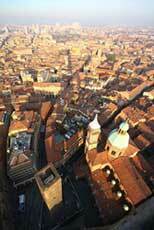 The two Towers at Piazza di Porta Ravegnana are the landmarks of Bologna. In the ancient times, towers in Italy were sign of fertility of a family and it was kind of a battle among them: the family the most important erected the higher tower. Tourists are allowed to visit the higher tower, the smaller one is pending. 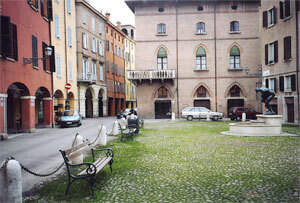 The town hall is called Palazzo Comunale and it hosts today for the Municipal Art Collection and other museums. The church of San Petronio is the fifth largest church in the world, but it is not the Duomo of Bologna.